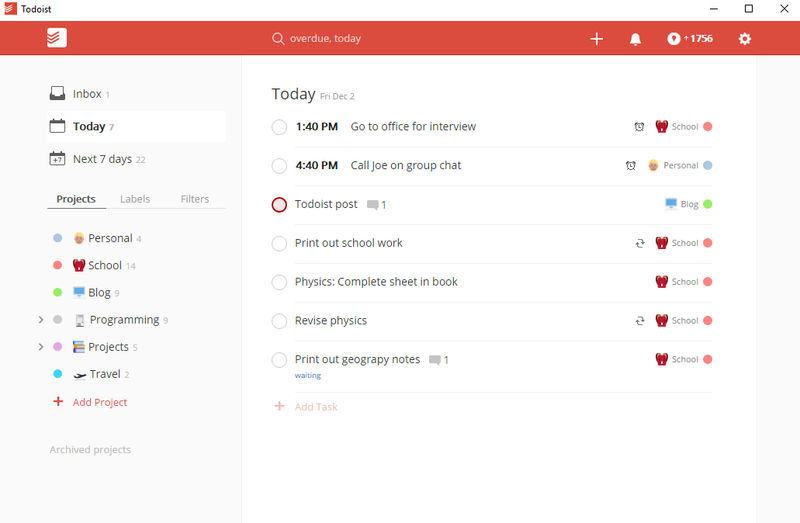 Todoist is a tool for tasks management/GTD. One of its nice properties is being powerful by being simple. But it’s limited when it comes to automating more advanced flows. Luckily Todoist has an API that we can use to build any missing feature. 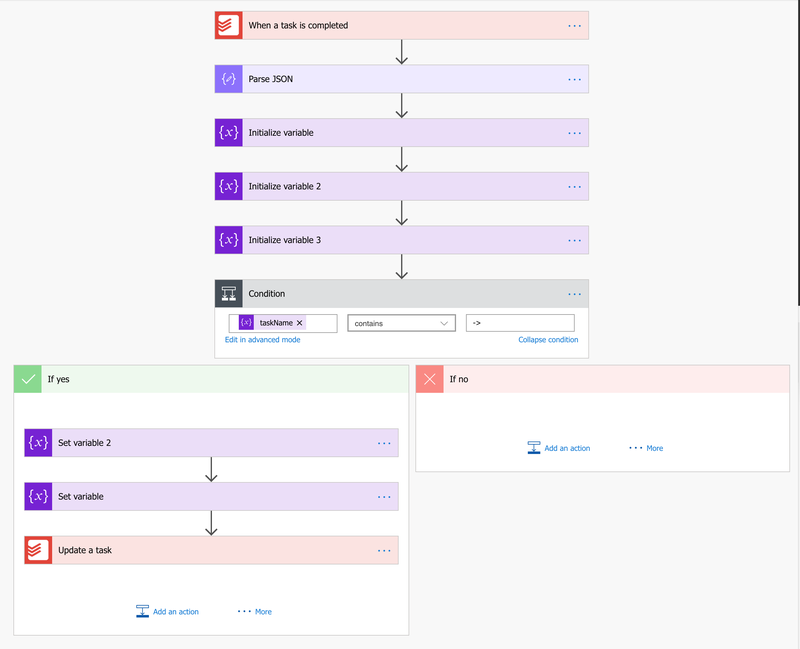 Microsoft Flow is an IFTTT service that provides a lot of connections, including integration with Todoist. That one works fine. The only caveat is that you have to select the project for the task to be listened upon. So if you want to make this work for few projects - you’ll have to duplicate the rule for each one of them. For the second scenario of changing the priority of a given task when another task is completed - we need to know how tasks a connected. One way of doing this is by encoding the ID of one task in the title of another. But again the issue in this case is that you have to choose a single Todoist project for the flow, and this doesn’t scale. 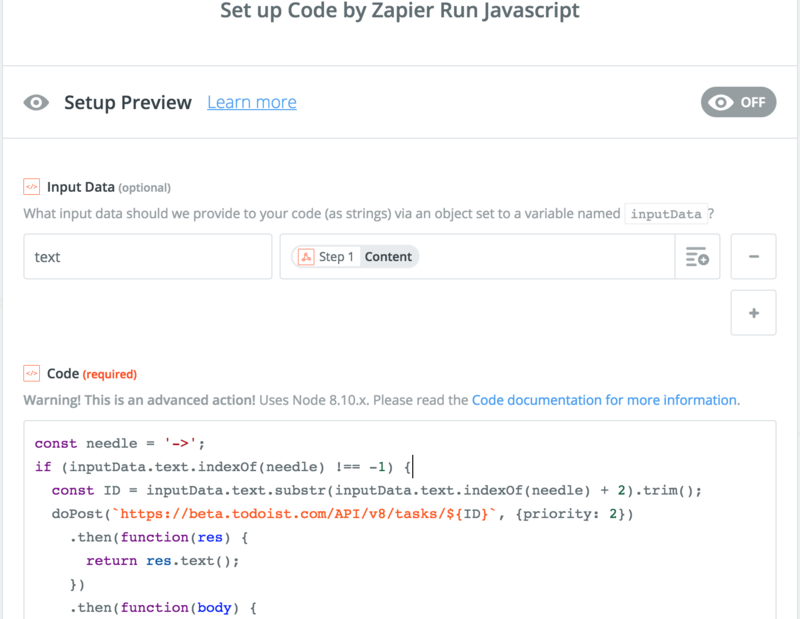 A scalable solution can be easily achieved using Zapier. It allows using a websocket as a trigger. It works like a charm, is not limited to only one project, and is very easy to customize if you know a bit of coding. And the best part is that it’s maintenance-free. The only downside is that after first 2 weeks you have only 100 events per month. That is equivalent to completing 100 tasks per month which may be limiting for many. It’s still a nice experiment to understand how much I actually “need” such a feature.